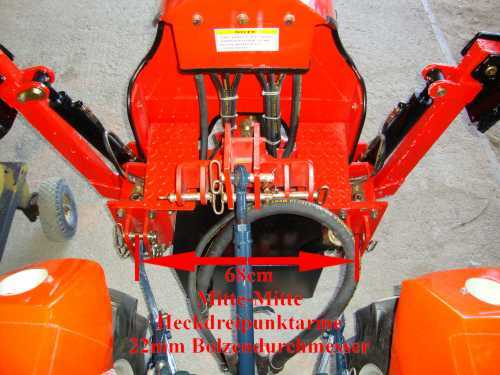 The backhoe for tractors may be assembled to each tractor. 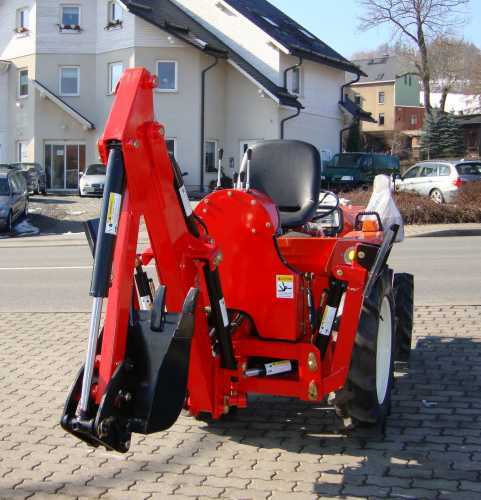 Three-point excavators are for private and professional use. 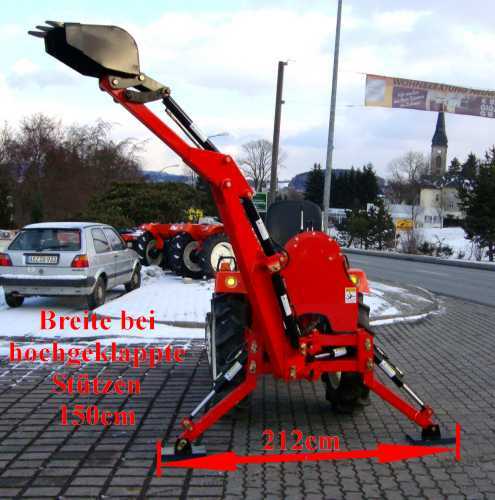 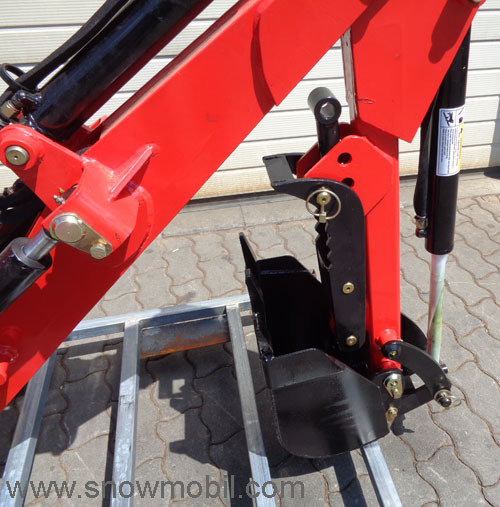 The backhoe is designed for the rear three-point hitch and KATI. 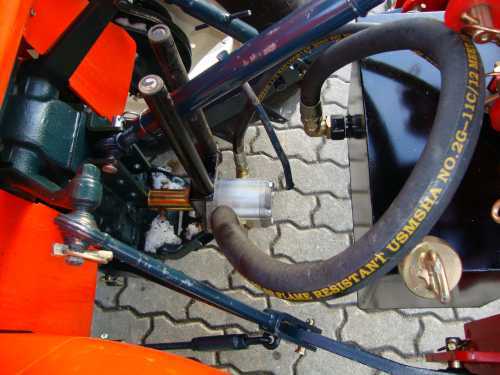 This rear actor has an internal oil circuit with oil tank and PTO pump. 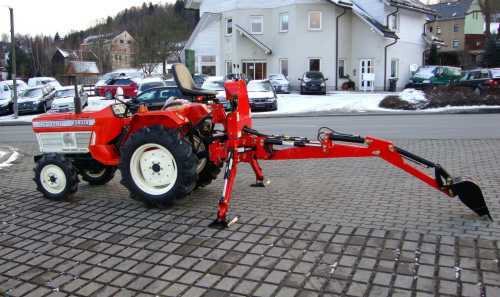 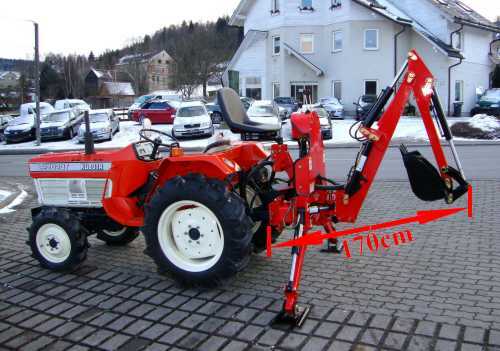 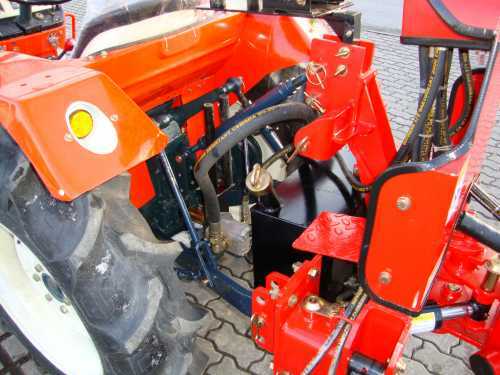 The drive tractor should have a minimum weight of 700 - 800 kg, because the rear actor is already 450 kg heavy itself. 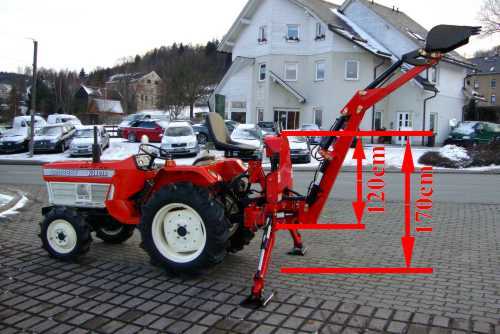 Otherwise, the weight ratio is wrong. 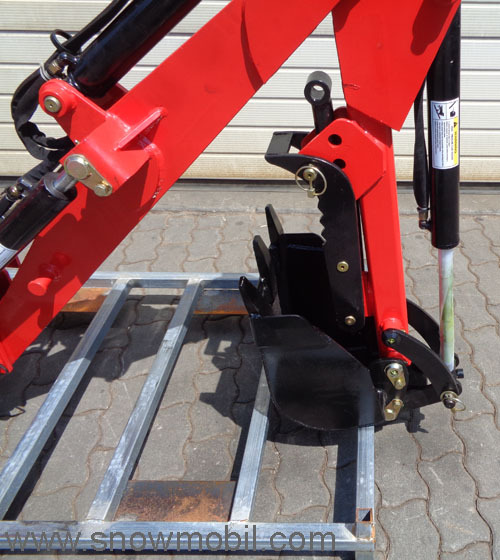 The excavator thumb is included in the standard delivery. 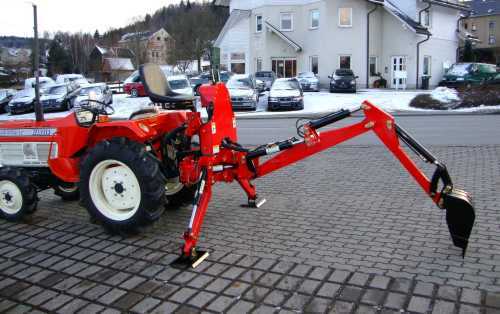 Thus, you can lift tree stands, stones, fence pots, etc. 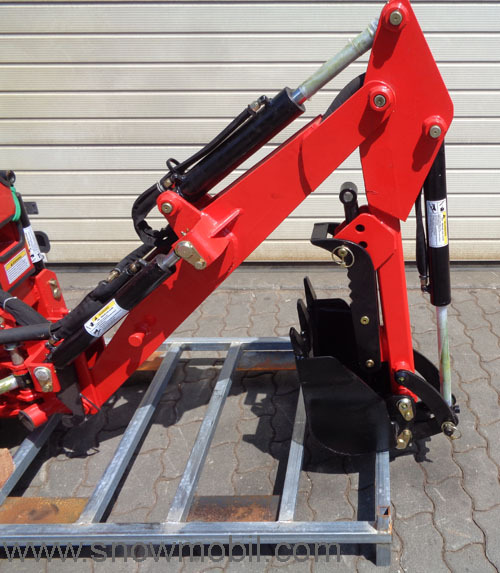 We also offer a complete retrofit kit - a timber grab / Log gripper for attachment to the backhoe - an inexpensive alternative!